Love Wanderlust so much you’re shouting it from the rooftops? (Us too!) We’re searching for the next class of Wayfarers for the 2018 US and Canada tour season. Wayfarers are our brand ambassadors: leaders in their local communities who champion the Wanderlust brand and exemplify our mission both in person and online. Wayfarers hail from all walks of life and come from all over the United States and Canada. What does it take to be a Wayfarer? You are: outgoing, have a positive outlook and presence both in person and online, tech-savvy (but also know that phones are just a tool for greater connection and community), mindful and a little mystical, organized (yes, spreadsheets are involved), very familiar with Wanderlust events and products, and active in your local yoga and meditation community. What does a Wayfarer do? 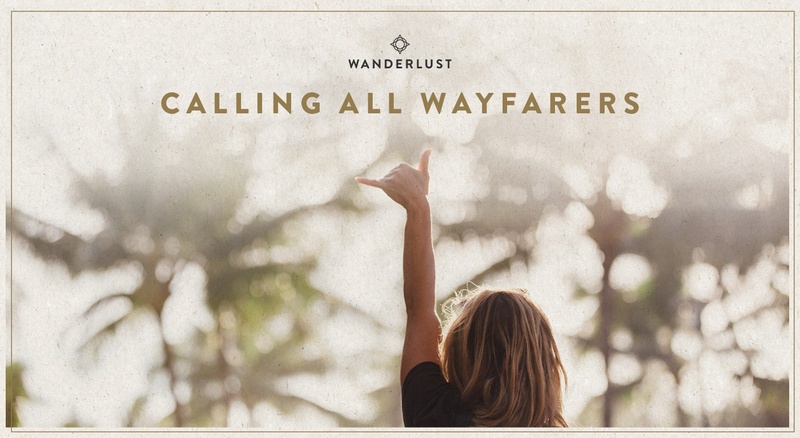 As a Wayfarer, you’ll share Wanderlust content on your social media channels, distribute posters and postcards around your hometown, oversee the official Wanderlust Facebook Event Page for the event(s) you’re associated with, host a pre-festival party to get your community jazzed on joining you at the festival, and be an integral part of making event attendees feel extra stoked to be at a Wanderlust event! What does a Wayfarer get? We’re glad you asked, since it’s a pretty sweet deal! Wayfarers get complimentary tickets to both the festival and 108 event you’re promoting (plus tix to give away to your community), a special offer code to give your friends a discount on tickets, a commission on the tickets you sell, shared hotel lodging with your fellow Wayfarers for the festival, plus adidas x Wanderlust swag. Oh, and expect us to show you lots of love on our website, email, and social media channels. To apply, fill out the form below by Monday, November 27th, 2017, by 11:59 PM ET.